The shortest PDent stem available at launch will be 25mm (click to enlarge). 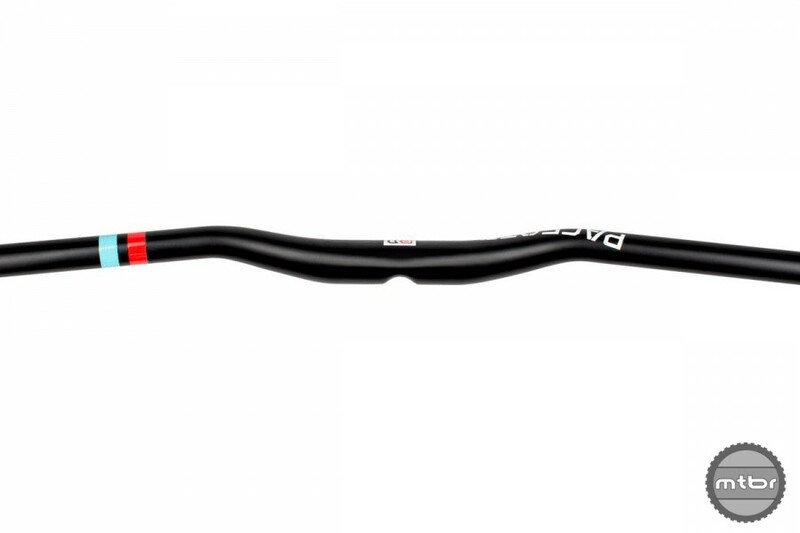 As frames have gotten longer, many riders have turned to shorter stems to help liven up steering. The shortest stem we’ve seen using traditional construction methods is 30mm, but by using a dimpled bar for more clearance, Pacenti’s new PDent system has produced stems as short as 12mm. Check out our Sea Otter coverage for more info. Each ElevenSix shock is tuned for riders specific frame, body weight, and riding style (click to enlarge). 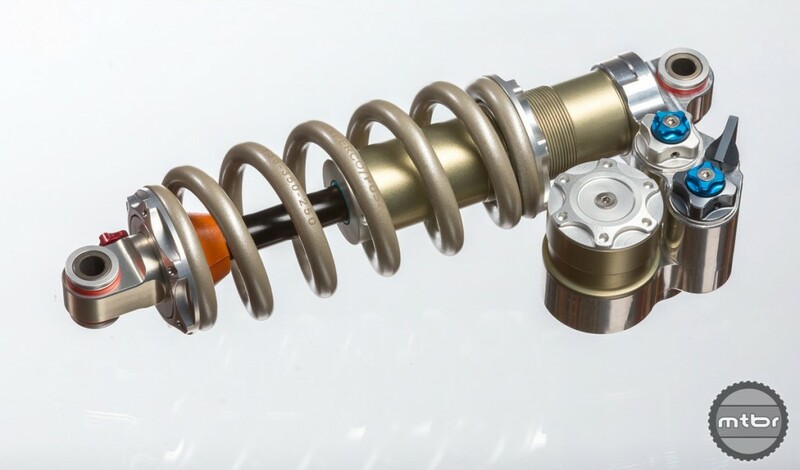 Best known for its aftermarket suspension tuning, Push entered the suspension game in a big way with the new ElevenSix shock. The dual overhead valve design allows two independent compression settings that can be switched on the fly. 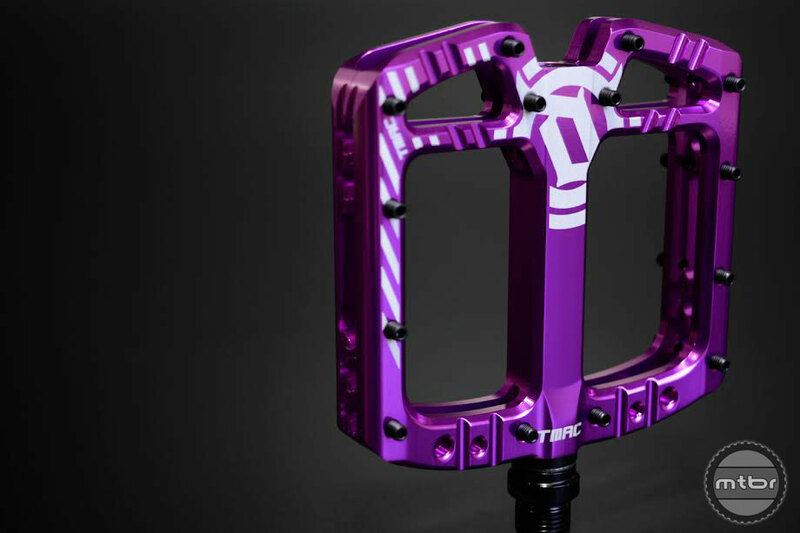 Each shock is hand built in Colorado and costs $1,200. To learn more read our launch post here. Rinsing off accumulated dirt will restore the tackiness of Renthal’s Sticky Grips (click to enlarge). There isn’t a ton of room for innovation in the grip market, but Renthal’s new Sticky Grips are an interesting new offering. Using the same material used to manufacture the sticky hand toys you played with as kids, these grips produce a sticky compound to help improve bar grip. The more you sweat, the tackier they get. Retail is $33. For more info, check out our Interbike coverage here. The inverted design of the Revel was heavily influenced by moto technology (click to enlarge). 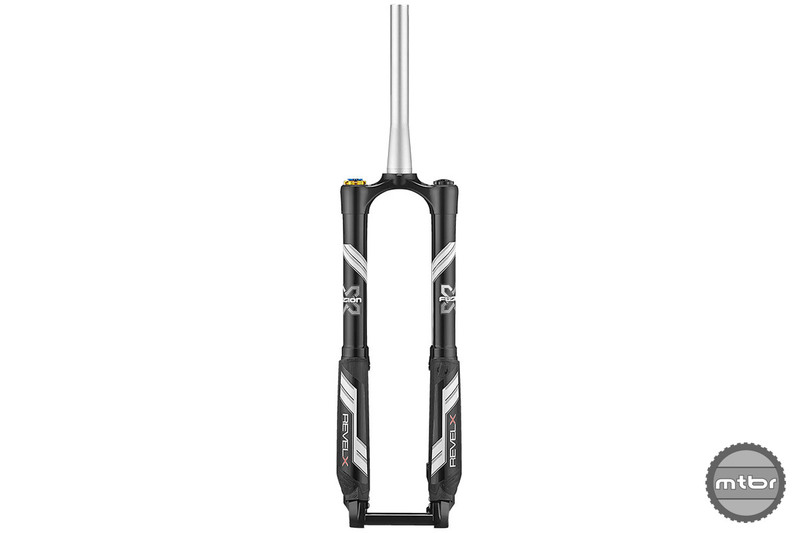 Originally released a few years ago as a limited edition model, X-Fusion has now created a production version of the inverted Revel suspension fork. It will use the well-regarded Roughcut HLR Damping system found in their 34mm platform and is available for both 650B and 29” models. Price is $1000. For more info, check out our Interbike coverage here. What do you think of our choices? Did we leave something out? Let us know in the comments section below. 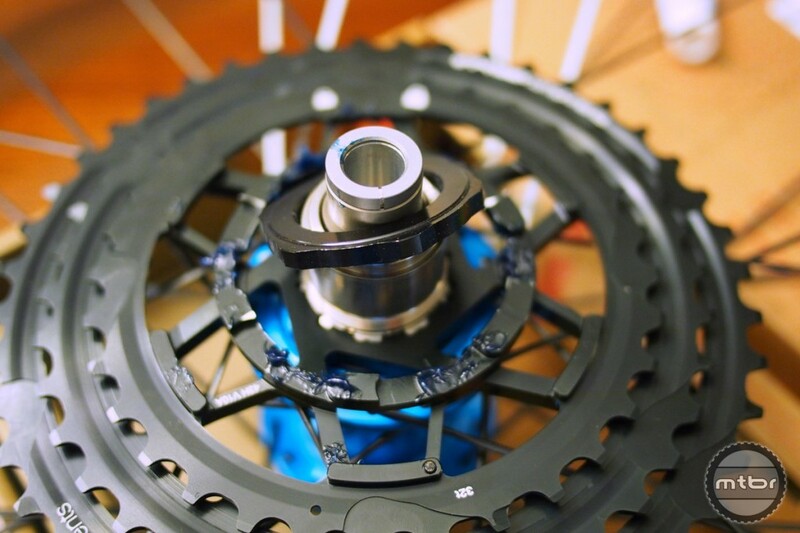 The new cassette uses an XD Driver hub body in order to accommodate a 9T. The Tmac comes in a number of colors, including our personal favorite – purple! A new chassis, air spring, and damper have turned the 34 into a class leader. 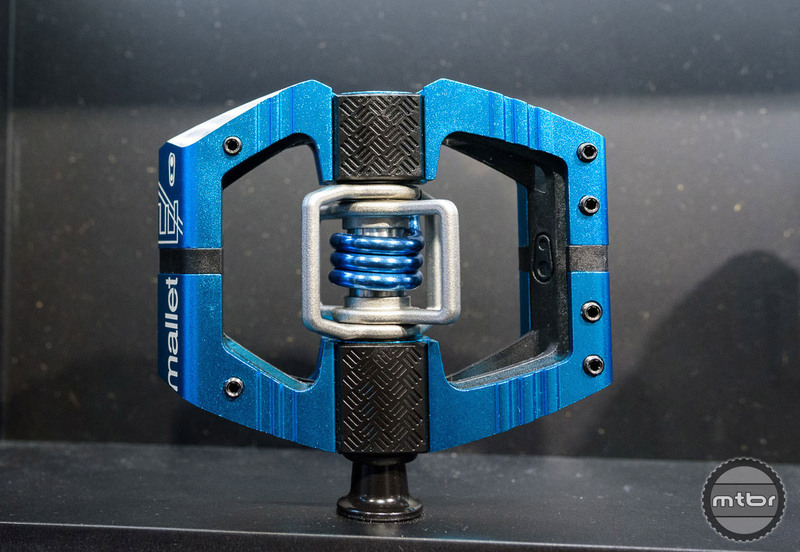 The new Mallet-E is smaller and lighter than the well regarded DH version. The shortest PDent stem available at launch will be 25mm. 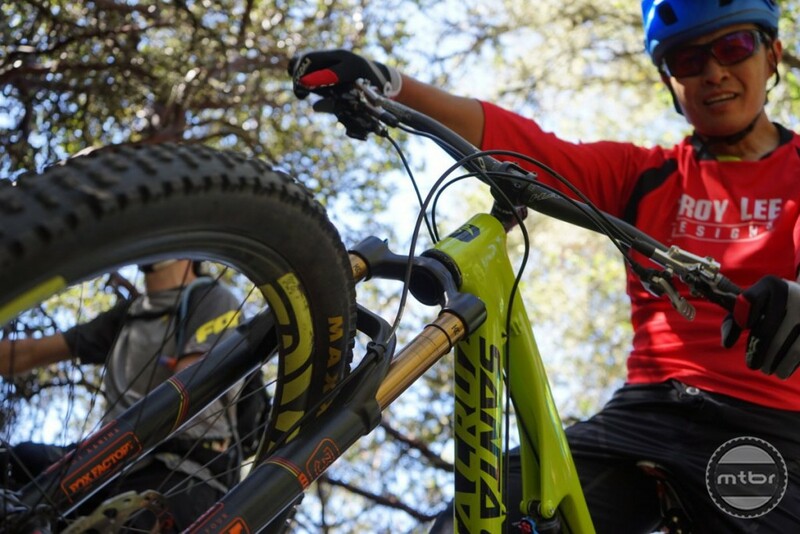 Each ElevenSix shock is tuned for riders specific frame, weight, and riding style. 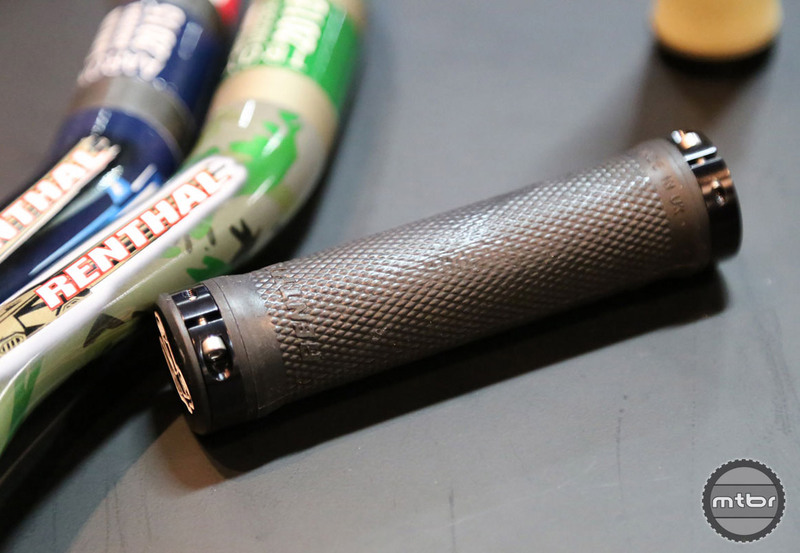 Rinsing off any accumulated dirt will restore the tackiness of the Renthal Sticky Grips. The inverted design of the Revel was heavily influenced by moto technology. Always wondered when you talk about grip, why you don’t try to match glove palm compounds/materials that match up well with the grip. That’s a good idea chicken rider! Mostly I’m in my Hand Up gloves and on cold days I’ll rock anything from ski gloves to neoprene. TOGS work great. My thumbs are hooked around them 90% of the time when climbing.